The voice of Sportstalk on WWL 870 AM, Luling’s Kristian Garic doesn’t mince words when it comes to what Sunday’s immediately infamous “no call” means to the people of New Orleans. The controversial play came on a third-and-10 play at the 13 yard line of the Los Angeles Rams with 1:48 remaining in the NFC Championship game. 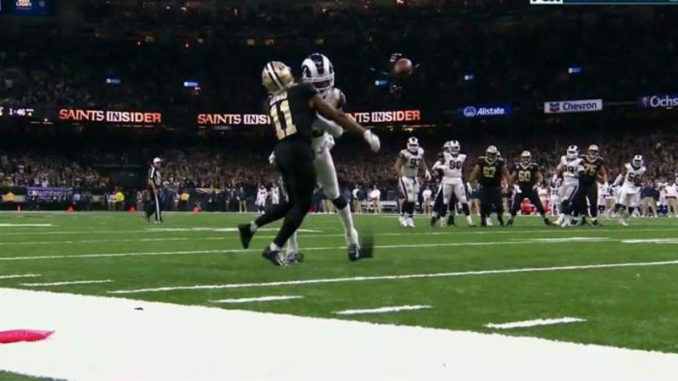 Drew Brees threw a wheel route to wide receiver Tommylee Lewis, who had lined up in the backfield, and defensive back Nickell Robey-Coleman laid out a crushing hit before the ball arrived. Robey-Coleman admitted after the game he knew he was beat and expected a penalty flag; none was thrown, though both pass interference and illegal helmet-to-helmet contact were initiated. A first down would have allowed the Saints to run down almost all of the remaining clock and attempt a game-winning field goal. Instead, kicker Wil Lutz made a short kick to put the Saints ahead, before the Rams rallied to force overtime, win the game and earn a Super Bowl berth. Garic called it the “worst no-call ever,” echoing not just the local, but national consensus. The former Marine said he doesn’t buy into the conspiracy theory held by many that the non-call was byproduct of officiating bias by two officials on Sunday’s crew with Los Angeles ties. 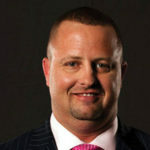 Back judge Todd Prukop hails from Ladera Ranch, California, a bit south of Los Angeles. 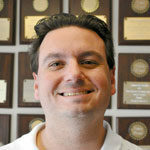 Side judge Gary Cavaletto is a native and resident of Santa Barbara, California. Those are the two officials who conversed on the controversial no-call. But while he doesn’t lean toward that theory, Garic said it’s also tough to completely denounce. For the NFL, Garic believes this is a major black eye that won’t soon go away. He noted the recent statement issued by Saints owner Gayle Benson that implored the league commit itself to fairness and integrity. Beyond the heartbreak of the region, it’s of course a devastating blow to a group of Saints players and coaches whose accomplishments will now always feel lighter than should be. “This was a legacy changing no-call. For Drew Brees, to get to another Super Bowl, and potentially win, vaults him from first ballot Hall of Famer to in the conversation of the best to ever play the game. For Sean Payton, getting there means he’s a Hall of Fame head coach,” Garic said. Beyond that, he said it’s the kind of blow that not only derails this season, but could do damage going forward. 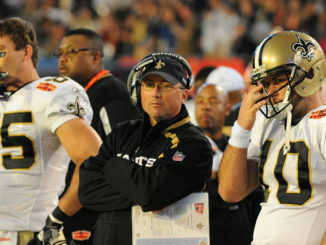 “Sean Payton admitted he doesn’t know if (the Saints) will ever get over it. If you don’t get over it, that can change how your organization functions going forward,” he said. Ultimately, though, the result is what it is and it’s burned into the memory of the Who Dat Nation. “This no call will be talked about for generations,” Garic said.